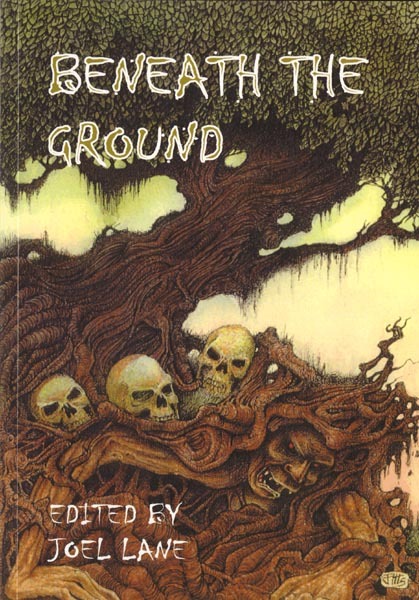 Beneath the Ground, edited by Joel Lane, includes thirteen stories of the mystery and terror that wait beneath the ground. Here are tales that explore the transition between our world and the tunnels and mines beneath. Tales that reveal what creatures dwell far from the light of day. And tales that explore the far reaches of human destiny in the unlit land of the dead. Prepare yourself to take the first steps … beneath the ground. Cover illustration by Jim Pitts; frontispiece by Dave Carson. Originally published at £10.99 — Now out of print!